I love Linkin Park. I have since I first heard In the End in junior high. They were on tour when I was in high school, but me and my best friend couldn't go. So we put on my Live in Texas dvd and "moshed" in the living room (it was really more of a pillow fight). When I heard that they were going to be in my area again, I decided I was going to that concert, come hell or high water. 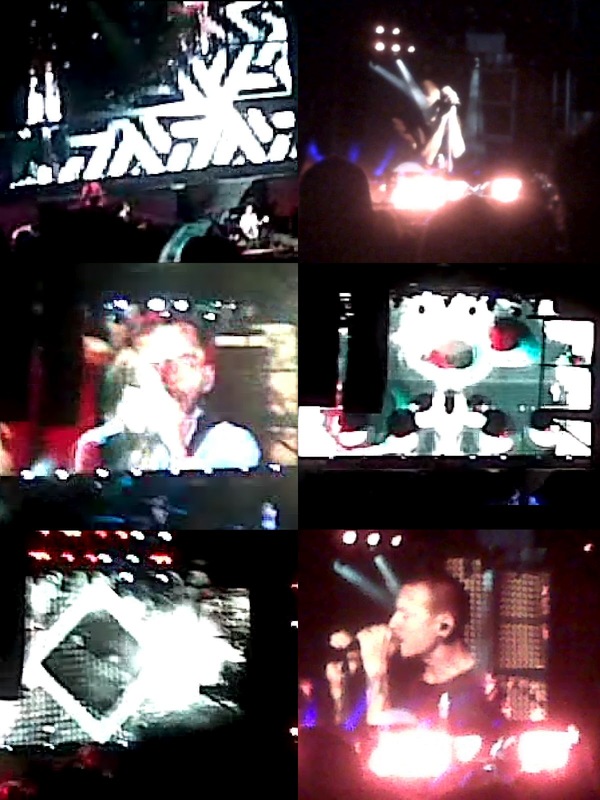 I know these pictures are horrible, but hopefully you at least get a feel for the concert. There was a giant screen behind the band, and they had AMAZING graphics intermingled with live footage. I love the whole artistic feel of Linkin Park. They played tons of stuff off of Hybrid Theory, which made me really happy. And today, like after any good rock show, I'm horse and my neck hurts like crazy. Completely worth it. Then there's this gorgeous thing. Apparently Linkin Park teamed up with Known Gallery for a project called LP50. The gallery website says that it is "50 screen print posters at 50 venues by 50 different artists from around the world." Seriously, could I love this band any more? 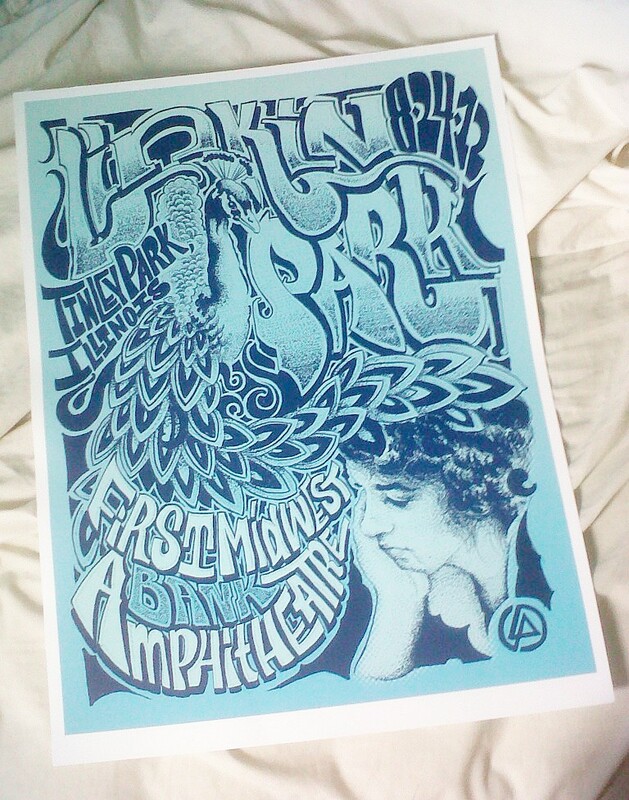 Tinley Park's poster was by Manny Sayes, and I was lucky enough to get the last one. The VERY last, I took the one that was on the display. 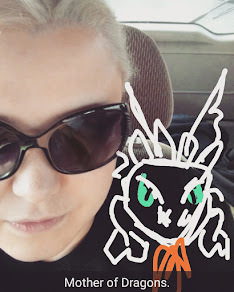 And I have to thank my amazing boyfriend, who doesn't even like Linkin Park, but still drove all the way to Chicago to see them with me. I am one lucky girl.